Holding a patient’s hand before a procedure. Listening to their concerns with empathy. Comforting a frightened child. These are the qualities Chatham Hospital seeks in their nurses. 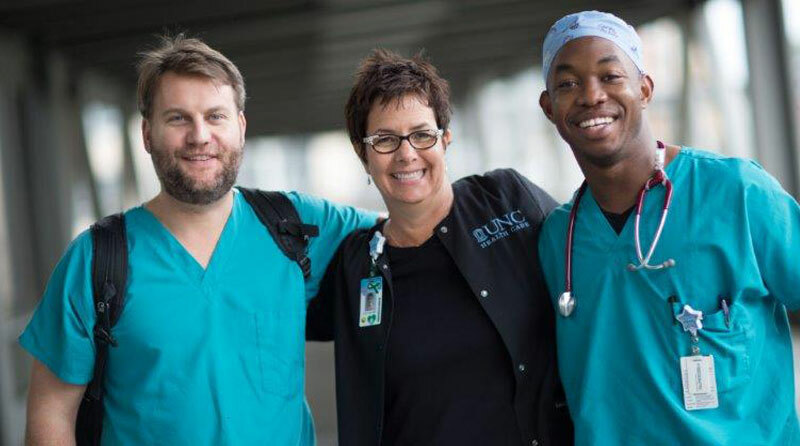 As one of our trusted nurses, you’ll help men and women get back on their feet while bringing them peace of mind. Chatham Hospital nursing department is as much about kindness and caring for the whole person as it is about medical and technical knowledge. What do we look for in a Nurse at Chatham Hospital? Below are candidate traits that encompass the Empathy and Expertise needed to provide the exceptional care our patients deserve. Here at Chatham, every employee is valued, everybody’s opinion matters. Assures the delivery of comprehensive, safe, effective and appropriate nursing care in accordance with established hospital policy and nursing practice standards in Surgical Services. The hours for this position are variable Monday thru Friday. Must be a graduate of an accredited school of nursing. Must have current North Carolina RN license and CPR certification. Prefer at least one year of RN experience in Surgical Services. ACLS is preferred. Bilingual in Spanish/English a plus.